Without sales funnels, you don’t have a chance to make it with your digital marketing. Agreed that there are better ways to bring in sales — and sometimes you don’t need sales funnels or lead funnels. Yet, for most businesses doing digital marketing, sales funnels just work. There was this client who came in last week. He had his website built with PHP and was trying to use Marketo work for his marketing efforts. The result? Complete mess. He spends more time doing firefighting, trying to connect his marketing campaigns with Marketo, and all the technical wizardry that’s needed to make all this work. Consider this: There’s this guy called John — a real estate agent in California. He is all excited about his business, he has taken the sprint for entrepreneurship, gave up his job, and started doing all the hustle he possibly could. Reach out to his potential audience in the state of California and wants to be the “go to” consultant looking to buy a new home in the state. Have his potential audience call him up exactly at the point they are looking for help. On John’s part, he wants to be sure that his business details show up exactly when his potential customers search for him online. If his potential audience lands on his website and/or landing pages, he wants to grab their email address and phone number so that he can keep his potential audience engaged while they might have left his landing page ages ago. Have a system using which he can track, analyze, and learn from his marketing efforts. For no apparent reason, John will tend to make his digital marketing more complicated than it has to be. Sales funnels don’t have to be overwhelming. Madeline Blasberg of Leadpages has a simple, 3-step process to build your funnels. Why does building sales funnels have to be so complicated? Maybe it’s just human or maybe we like to overthink? Your website should load fast. Very fast. Like, in less than 3 seconds (this part is for all the visitors that’ll find John’s website from direct hits, search engine results, Google Map listings, from organic social media, etc. 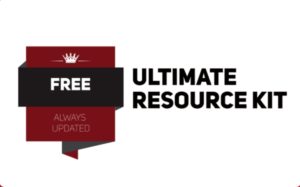 If you are on WordPress, pick from one of the premier hosting solutions such as Kinsta, Flywheel, or WPengine to avoid all the mess and upgrade to super-fast website page load speeds. Each of these hosting solutions give you fast loading servers, malware protection, Cache, great support, and so much more. If you don’t use WordPress, consider building your website on a solid, comprehensive, and kickass solution like Webflow. That’s it: Either use WordPress or Webflow. For all the traffic that comes organically to his website, John will do well to capture leads with Bloom By Elegant Themes, Sumo, OptinMonster, or any other lead generation tools. Typically, organic leads convert at around 2% globally, on average. You can use tools like Bloom, Sumo, and OptinMonster to add opt-in forms, exit intent pop-ups, slide-ins, click-trigger pop-ups, welcome mats, and also opt-in forms or Calls to action in the middle of your blog posts or at the end of your blog posts. You know what really converts? It’s not sales funnels, landing pages, ads, and endless split-testing. If you could intercept your visitors’ browsing session on your website by using chat, you’d have a lot more conversions than if you didn’t. Getting people to chat with you on your website instantly establishes rapport, trust, and puts a real person behind the chat window for your potential customers to talk to. Worst case, you can at least intercept your visitors using Chatbots while you can step in later (maybe on request). Use tools like Botletter, Intercomm, Drift, and Livechat to make chat sessions happen on your site. If you wanted to, you can really make it all more contextual by asking questions relevant to the page your visitors are on. If you are a local business — like John’s real estate business that caters to the folks living in California — running Google’s call-only ads is a no-brainer. Every click on these ads is an incoming phone call for John — a potentially hot lead with burning questions that John can answer. Remember that if someone clicked on these ads, chances are that they are looking for help right away. All phone calls can be tracked. You can then attribute ROI to these phone calls by using a solid phone call tracking software. If there’s a link that you use to request people to take some sort of action — such as to have people sign up for an offer, have people sign up for your newsletter, or if you are sending traffic from Google ads or Facebook ads, you should be pointing people to a landing page. Your landing pages will capture leads and connect them to your email marketing service provider and/or your CRM system. The Email marketing automation system will send in all the nurturing emails — such as the welcome email or to deliver your lead magnet — to your new subscribers while you’ll retain these lead details in your CRM. Hiring developers to build landing pages is uncool — there’s no point in spending thousands of dollars and wait for ages to get landing pages developed by designers or developers. For making it easier for you, use landing page builders like Unbounce or Leadpages connected to email marketing tools like Drip or Mailchimp. 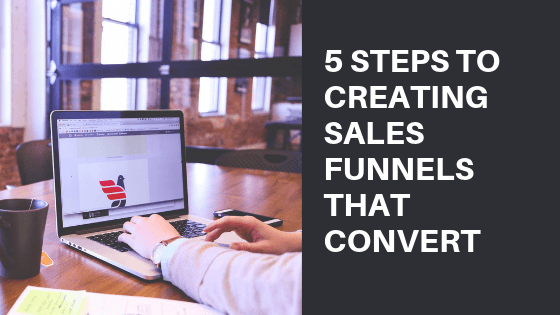 How do you build your sales funnels? Do you complicate it?